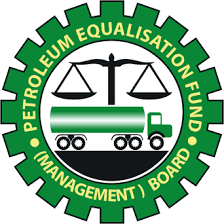 The Media Rights Agenda (MRA) has inducted the Petroleum Equalisation Fund (Management) Board into its Freedom of Information (FOI) Hall of Shame, accusing the Board of refusal to be transparent and preference for cult-like secrecy in its operations, reports ITRealms. The induction, MRA said, only serves to heighten questions about its continued relevance in light of its failure to achieve the objectives for which it was established. The Board was established in 1975 by Decree No. 9 of 1975, which was later amended in 1989 by Decree No. 32 of 1989, to offset the inequality in the transportation cost of distributing petroleum products in different parts of Nigeria in order for the Government to be able maintain a uniform pricing system for such products all over the country. The primary responsibility of the Board is to reimburse petroleum marketing companies for any losses suffered by them, solely and exclusively, as a result of their selling petroleum products at uniform prices throughout the country. The mandate of the Board is therefore to ensure that the Uniform Pricing Mechanism that the Federal Government introduced during the period worked effectively throughout Nigeria and that each marketing company complied with the laws regarding the management of the transportation equalisation process. She accused the Board of flouting and rendering meaningless its mission statements to its various stakeholders, including its statement to marketers “to be a prime and transparent organization, for the timely reimbursement of marketers’ transportation claims” as well as its statement to Nigerians to be “a responsible, accountable and efficient parastatal facilitating the distribution of petroleum products nationwide at approved prices”. Ms Nwaodike said by brazenly neglecting to comply with its statutory obligations under the FOI Act, the Board makes nonsense of its mission statement where it says it aims to be a “transparent organization” and an “accountable and efficient parastatal” as well as listing ‘integrity’ as one of its core values. She observed that by consistently failing over the past seven years to comply with its proactive publication obligations in Section 2 (3), (4) and (5) of the FOI Act to publish and disseminate 16 classes of information as well as review and update them whenever changes occur, the Board is demonstrating its clear disdain for the laws of the land, the ideals of democracy, and the core values it claims guide its operations. Ms Nwaodike noted that the Board has also refused to submit to the Attorney-General of the Federation any report on its implementation of the Act for seven consecutive years, in clear defiance of Section 29 (1) and (2) of the FOI Act and the Guidelines on the Implementation of the Freedom of Information Act, 2011 issued by the Attorney General of the Federation, the oversight agency for the FOI Act, as the Board has neither submitted any report nor made any such report available to the public in any form whatsoever. She also accused the Board of not providing appropriate training for its officials on the public’s right of access to information and for the effective implementation of the Act at any time in all the seven years that the law has been in operation, as it is required to do under Section 13 of the FOI Act. Noting that there is no single reference to the FOI Act on the Board’s website, Ms Nwaodike observed that the Board has acted over the last seven years as if the Law does not exist and continued to conduct its functions and operations in cult-like secrecy.